Shortly after two immigrant men are brutally murdered near Moscow in what's considered Russia's most infamous hate crime, a viral video of the executions surfaces. Neo-Nazis take responsibility yet the crime goes unsolved by apathetic local authorities. 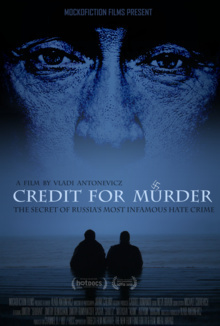 In response, Israeli director Vladi Antonevicz goes undercover as a white supremacist, penetrating fascist cells to find and confront the killers.